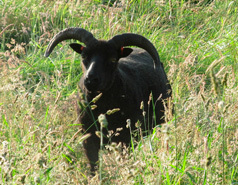 The Hebridean sheep’s ability to thrive on a variety of poor quality forage coupled with their natural hardiness makes them ideal for both conservation and low intensity farming systems. The latter is where large areas of land are utilised but with minimal inputs and expenditures of capital and labour. These same qualities also make them a cost-efficient farm animal for more intensive farming practices and in an age when food quality is coming to the fore, the Hebridean is clearly showing itself to have a real market advantage. Hebridean ewes can successfully be cross-bred with any breed of terminal sire to produce good quality meat lambs for the commercial market. Importantly, lambing difficulties from these matings are rare even though the ram is often more than twice the size of the ewe. 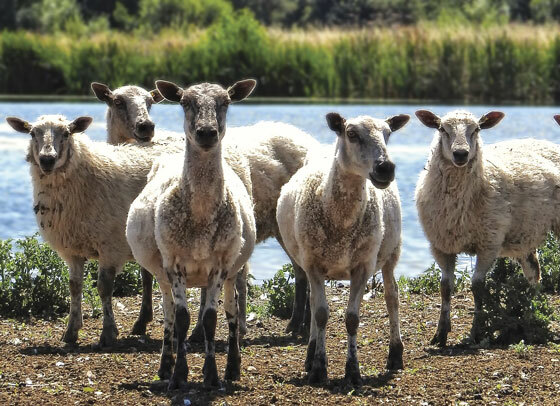 Futhermore, studies performed in the 1990s indicate that the return (as measured by total lamb carcass weight produced per hectare grazed) from cross-breeding onto Hebridean ewes can be much higher than for comparible crosses onto ‘commercial’ ewes such as Scotch Half-bred or Mules. 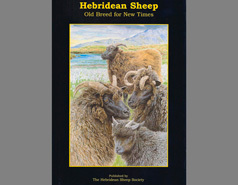 This is because more Hebridean ewes can be carried on any given parcel of land. 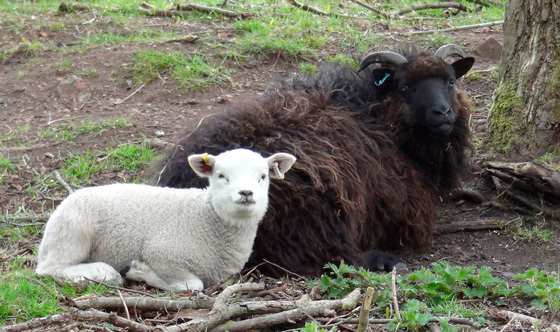 Hebridean cross lambs grow quickly to be almost the size of their mothers. They usually finish at about 33-37 kg live weight and are typically of conformation R3L. 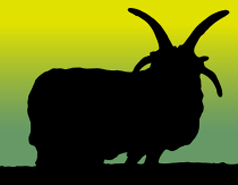 Trials from the Rare Breed Survival Trust have shown that the meat quality of Hebridean Sheep is consistently better than that of other breeds. Many of these qualities are conferred by the ewe onto her crossbred lambs. Hebridean cross lambs are usually polled and are often white in colour. These factors can be an advantage when they are marketed through live auctions. 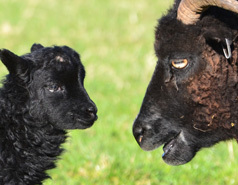 However, a proportion of black cross lambs may be born to Hebridean ewes that are recessive for the black gene as some rams from commercial stock (e.g. Suffolk and Texel) can also be carriers for this gene. Of course, using a terminal sire on a smaller Hebridean ewe does put additional demands on the ewe. Ewe lambs should never be put a terminal sire. Indeed, it is probably better for shearlings to successfully lamb to a Hebridean ram before using them in a cross-breeding programme. Halfbred Hebridean ewes are also a profitable proposition particularly on marginal ground. They are durable animals with good feet and dentition. Thriftier than other commercial halfbreds, the Hebridean halfbred lambs well to any breed of terminal sire. The milkiness of the ewe ensures that lamb growth rates are good and the general health of ewes and lambs is commendable.